He may boast a net worth of reportedly US$50 million (S$61,160,000), but Jake Nickell could pass off as any ordinary American. Who is he? Clad in his company’s blue t-shirt and a pair of ruffled brown chinos, he blends in almost seamlessly with the young local crowd. Even if you don’t recognise him, you probably own a few of his tees, because he is the co-founder of one of the world’s most iconic clothing brands – Threadless. Jake was in Singapore on Nov 10 for his company’s Go ahead. Make my day. Event, where he mingled around with local Threadless fans. Quite interestingly, according to Jake, a good percentage of estimated sales, about 5 percent of total exports, come from Singapore. Which is no slouch considering that the company earned a whopping US$30 million(S$36,696,000) in revenue in 2009, as reported by the businessinsider.com. At the White House at Emily Hill, guests got to bask in a colourful atmosphere of food, drinks and music, with the lucky first 3,000 guests who registered on eventbrite.com being entitled to a limited edition screen-printed tee shirt. 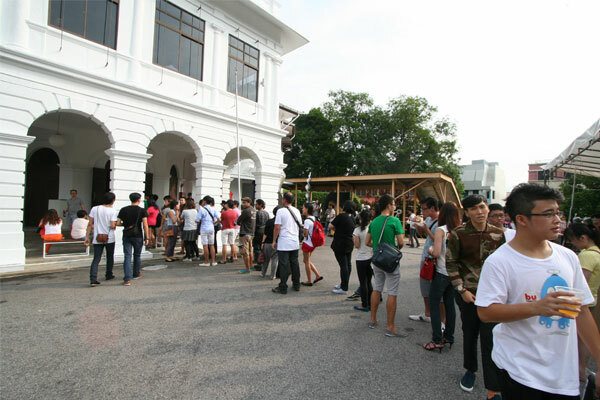 The T-shirts were clearly a hit, with a snake-like queue popping up within the first hour. 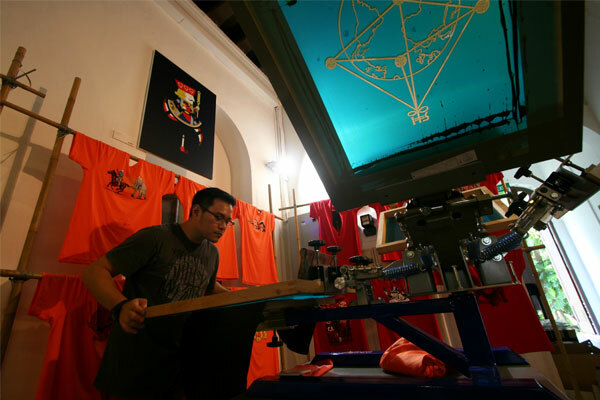 In addition, there was an extensive gallery of Threadless’s popular designs on display, and from his 12 years of experience, he feels that it’s that concept of sharing that truly makes a designer grow. “If you don’t allow the world to react to your art, it never really goes anywhere,” the 33-year-old tells UrbanWire. Despite his calm demeanour when he talks of his love for design, you can sense that it has always been a big part of his life. In fact, his romance with it began when he was frustrated by the lack of creative expression among his school peers. It resonated deep in the aspiring designer, who originally wanted to be a police officer. But eventually, threadless.com was born a few years later in 2000. While studying graphic design at the Illinois Institute of Art in Chicago, Jake, then 20, was an active member of the now-defunct online forum Dreamless, a platform that gathered a community of digital artists. After winning one of the website’s t-shirt design contests, the young entrepreneur was inspired, and that was when it all kicked off. Together with Purdue University undergraduate Jacob Dehart, the 2 started a small project on the forum, where they’d print and sell the T-Shirts ranked highest by the community. Despite the huge moneymaking potential – which was of course, fulfilled – the humble Internet millionaire insisted that it was not for the profits. As the soft-spoken Chicago-native caressed his cup of beer, he hardly looked like the kind of man who would come up with a revolutionary idea. But little did they know that they were using an unorthodox but successful business model later termed “crowdsourcing”, and their humble $1,000 project began to grow. With that, Jake was faced with what would be a tough decision for most: to give up his education. However, he’d already made up his mind. 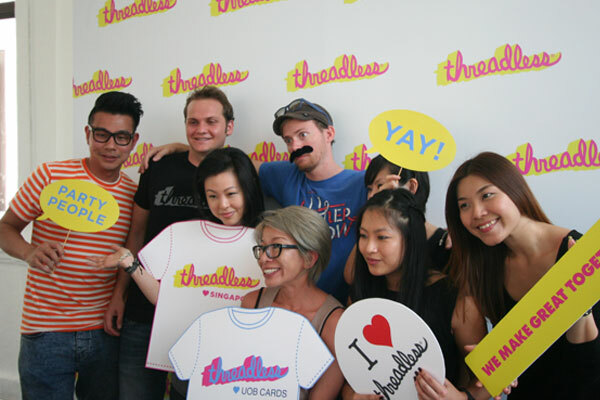 Since then, Threadless has grown to become a full-fledged company of about a few hundred-odd employees with multimillion-dollar revenues. The website has received over 240,000 designs in total, has an average of 2,000-3,000 submissions each week, and boasts a strong community of more than 2,000,000 members. 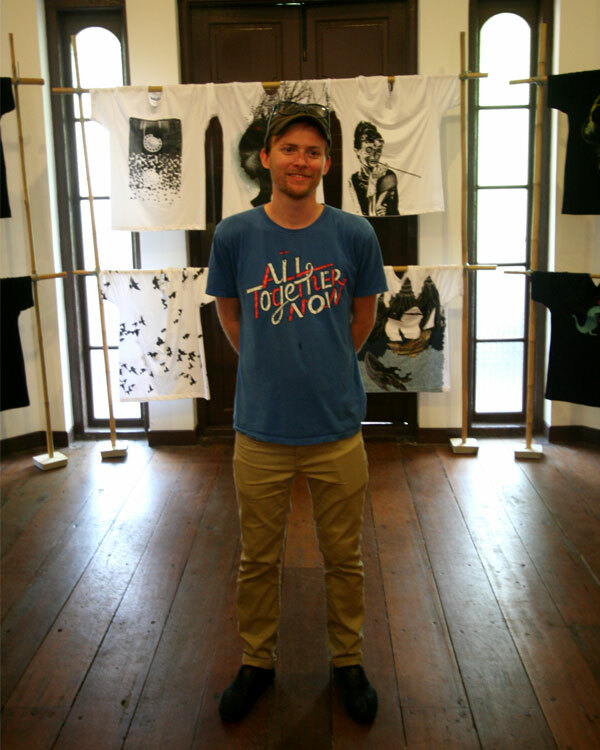 Jake was full of praise for Singaporeans’ support for Threadless. “It’s not just the customers. The artist scene is ridiculous. 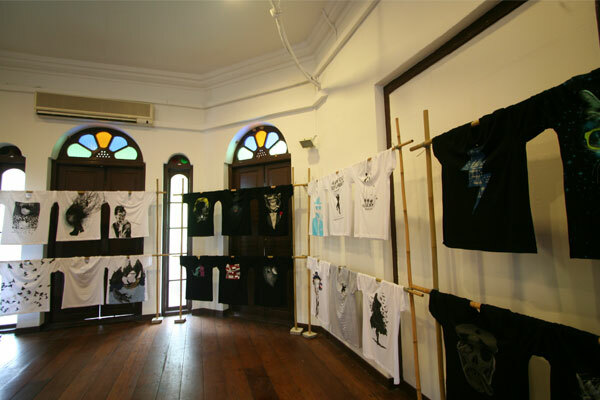 We’ve had close to 20 designs printed from Singapore, and that extends to Southeast Asia,” he adds. And based on what he observed in Singapore that day, the author of Threadless: Ten Years of T-shirts from the World’s Most Inspiring Online Design Community, was nothing less than impressed. All photos courtesy of Judith Tong.